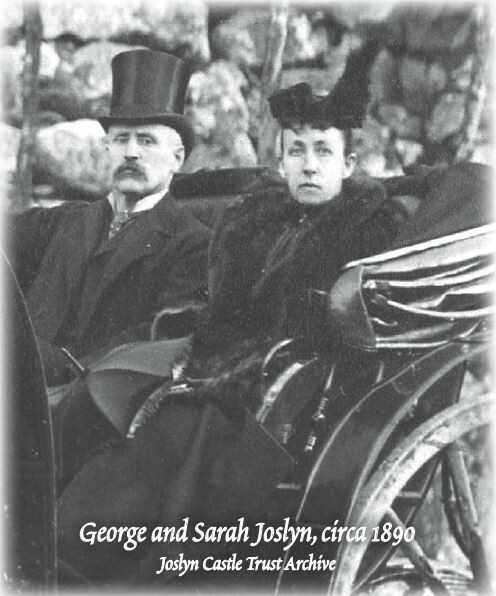 George and Sarah Joslyn were part of a wave of entrepreneurs who moved west after the transcontinental railroad was completed. They were Vermont natives who were not yet 30 when George landed a job with a printing firm in Des Moines, Iowa, in 1879. Ready to lead, George agreed to open a branch office in Omaha in 1880 and began to accumulate company stock. By 1896, he owned the company. He renamed it the Western Newspaper Union and built it to become the country’s largest supplier of “ready print.” Sheets of newsprint were pre-printed with general news and features on one side and then shipped to as many as 7,500 small-town newspapers where editors printed local news on the other side. The company’s printed materials reached over 70% of the population in the early 1900s. 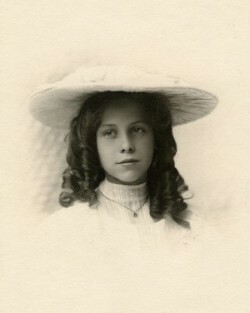 Violet Joslyn at age 11 in 1902. The Joslyns adopted a daughter, Violet, who grew up in Omaha. She attended Brownell Hall and in 1913 was married to David Magowan at a ceremony in the Castle. Violet and David lived in Omaha until 1920 when David went to work in the New York office of his late father in law’s company. Violet and David went on to have three children, a son named David, Jr. and two twin daughters she named after her mother, Sarabelle and Violet Joslyn. 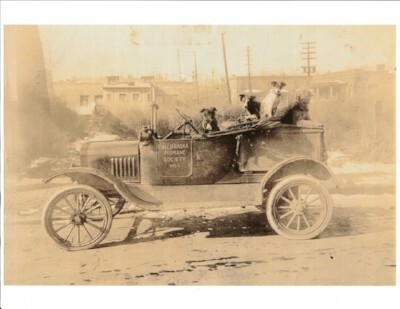 The Joslyns were huge supporters of the Nebraska Humane Society. Pictured is the first vehicle donated to the organization. Many Omaha institutions benefited from George and Sarah Joslyn’s generosity. Sarah and seven other women formed the Board of Charities for the City of Omaha. She was on the executive boards of the Child Saving Institute and the Humane Society. George donated $25,000 in the earliest days of the University of Omaha, providing the building that housed the university until it moved to its current location in 1938. George was in his 60s when he died in 1916. His bequests included the Fontenelle Home for the Aged, the Visiting Nurses Association, and the Nebraska Humane Society. In 1919, Sarah was one of the largest single investors in the new Knights of AkSarBen Corporation. Others sharing her gifts included Brownell Hall, Omaha University, and First Unitarian Church. 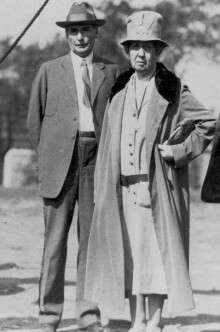 Sarah Joslyn is pictured with family friend and renowned architect John McDonald in 1928. McDonald designed the Joslyn Castle and later the Joslyn Memorial Art Museum. 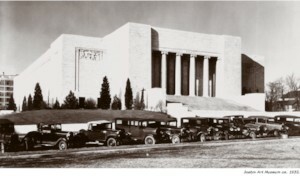 The Joslyn Art Museum shortly after it opened in 1932. In 1929, Sarah focused her efforts on creating a memorial to her husband, and in 1931 ground was broken for the Joslyn Memorial, a public cultural institution designed to embrace the visual and performing arts costing approximately $3 million in depression-era dollars. Today the Joslyn Art Museum continues to be Sarah’s most prominent gift to Omaha. Sarah died in 1940 at age 88.